…as told through transformative song, music, and dance. Sometimes it takes a crisis to realize that the moment is all we have. Within each moment exists an opportunity to be still, to quiet the mind, and in stillness resides human connection. If we lose sight of this connection, we feel alone. The world and our thoughts can darken so much that we lose sight of those who love us and see us and this is why we need to celebrate and cherish the moment together, especially in the face of tragedy. Imagine a stage with a full marimba orchestra, a choir interspersed among the marimbas, and an aerial dance group soaring overhead. 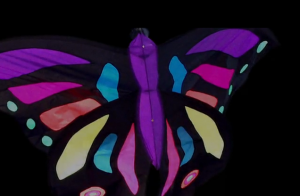 Metamorphosis, an innovative work by composer Randy McIntosh, joined three arts groups ~ Kutandara Marimba Experience, The Boulder Chorale and Frequent Flyers® Aerial Dance ~ to tell a powerful story of crisis, hope, and renewal. This work was inspired by the Boulder community’s response to the suicide of the composer’s best friend’s 16-year-old son, Jesse Simon. Randy was moved to create a work of art that would instill hope in the face of tragedy and raise awareness about teen suicide prevention. This work is in Jesse’s memory and is a celebration of how his family and community stood together and picked up the pieces to not only move on, but to make the world a better place. Randy began composing and worked obsessively for over two years on Metamorphosis. He continually listened and grew with each new idea. As the music unfolded inside of him and as he began sharing it with others, the work itself started to take on its own transformation. Although Jesse’s death deeply affected him, the emerging themes reflected personal transformation and became a celebration of life, of the beauty and blessings of our fragile existence—as well as the despair and the horrors that can accompany them. Metamorphosis is a celebration and a memorial. It celebrates hope, and it also celebrates grace, humanity and the ecstatic nature that we all share in the moment. It is a reminder of life-changing tragedies and triumphs that teach us that the moment is all we have. Metamorphosis is a multi-media experience intended to challenge your heart, mind, and senses; allow the experience to envelop you and take you on a journey through each stage of transformation to what ultimately lies beyond. The material Randy drew upon for the music of Metamorphosis includes a combination of Psalms from the Old Testament woven together with audio clip highlights from 1994 (Jesse’s birth) and 2010 (Jesse’s death) and the instrumentation of a marimba orchestra, a large vocal ensemble, solo vocalists and electronic music. Each section in the piece represents a different stage of the metamorphosis cycle, symbolizing the transformations we are capable of everyday in our own lives. The musical story of the journey of this community from unimaginable sadness to a place of hope is told through the life cycle of the butterfly, experiencing pain and transformation, emerging stronger and more beautiful than it was before, but always with the knowledge that life is short and to be treasured. Metamorphosis features teenage performers alongside adults. Because the composition had its genesis in a teen suicide, performing together with teens brings power to the message of hope that Metamorphosis shares. Randy McIntosh is one of the premier American composers of contemporary music influenced by traditions of Southern Africa. His compositions are performed across the U.S. and internationally. Randy’s previous major composition, ‘Misa Tariro’ (Mass of Hope), is a cross-cultural celebration of the power of spiritual music dedicated to “the impressive resiliency of the Zimbabwean peoples in the face of their unbelievable hardships. The joy of my composition is the artistic expression of the joy of the Zimbabwean—and human—spirit,” says Randy. The Boulder Chorale is proud to be Boulder’s oldest and largest community choral organization. The mission of the Chorale is to artistically enrich, inspire and reach out to the greater community through a love of singing. The Boulder Chorale has 5 choirs and 4 conductors with singers ranging in age from six years old into their eighties. The group performs exceptional music at the highest levels of musical excellence, with outreach performances, special events, and regular season concerts. Frequent Flyers® Aerial Dance is a professional performing arts company and school in Boulder, Colorado. Frequent Flyers’ critically acclaimed performances have reached over 150,000 audience members since 1988. Performances blend stunning modern dance with spectacular aerial arts. We venture inside and out on low-flying trapeze, aerial fabric, bungie, rope & harness, lyra, static trapeze, stilts, invented apparatus and more. Frequent Flyers® was founded by Nancy Smith, artistic director and co-author of the first book on the art form titled, Aerial Dance. 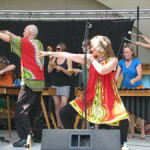 Kutandara Marimba Experience fuses ancient African music traditions with Latin, jazz, gospel, classical, and world folk influences. 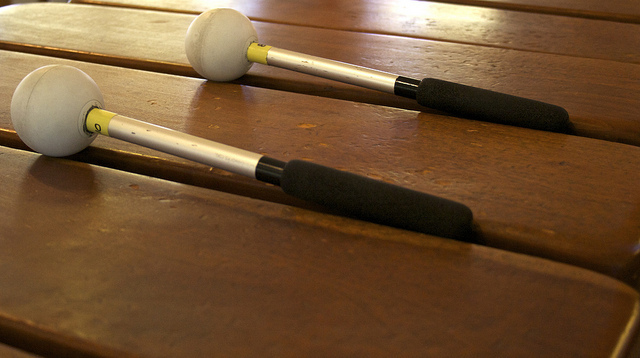 Kutandara works with a variety of instruments, songs, and dances from around the world. Primary inspiration and influence comes from the Shona peoples of southern Africa, with traditional and contemporary composers working in an unbroken musical tradition going back well over 1000 years. Second Wind Fund of Boulder County works to decrease the incidence of suicide by removing financial and social barriers to treatment for at-risk youth by providing free counseling services through schools and community agencies. Colie’s Closet is a non-profit peer education organization comprised of Boulder Valley School District high school students. They educate students in Boulder Valley School District schools about depression and suicide with the goal of decreasing youth suicide. They raise money through various fundraisers, and proceeds are used locally for education and treatment of depression and suicide prevention in youth. The HOPE Coalition of Boulder County was formed in 2005 with a $5,000 grant from the Gary Barnett Foundation in the name of former CU Buff football player, Gabe Oderberg who took his own life in September, 2004, at the age of 23. Concerned citizens from Boulder Valley School District, University of Colorado, Parent Engagement Network, Boulder County agencies, Colie’s Closet, and parents formed the Coalition almost overnight. The HOPE Coalition continues to be funded by annual grants from the Gary Barnett Foundation and support from Amy Robertson, Suicide Prevention Coordinator at the University of Colorado, Boulder. All 2013 performance were held at the Dairy Center for the Arts Performance Space at 2590 Walnut Street in Boulder. 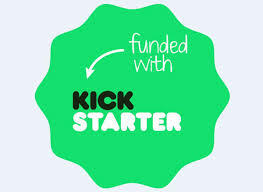 Through the generous contributions of our kickstarter donors, expenses related to venue rental, costumes, equipment, publicity and compensation for artists and directors were realized. We raised over $15,000 together! Thank you! Donors: Alex Goulder & Karen Rosenschein, Alpine Corporate Accommodations, Amy Robinson, Curtis and Claire Johnson, Andi Jason & David Simon, Angus & Rags Edward, Barbara Boyts, Becky Bragg, Bess Morrison, Betsy Sims, Bob & Janet Evans, Bradley Rosenzweig, Bruce Wilson, Charles Luner, Chris & Barbara Haas, Cindy Pickett, Creighton Chiropractic Clinic (Kodiak, AK), D. M. Lyle, Daniel Simon, David Birnbaum, Davis’ Dad, Donna Sueper, Dr. Ron & Sharon Sheets, Evie Cohen, Fred Schulerud, Greg Herring, Heather Doty & Jeremy Fobes, Holly Hickman, Integrity Arts/Kathy Kucsan, Jack & Shari Wilson, Jacqueline McKenna, Jayne Bernasconi, Jeannine Goode-Allen & David Sharp, Karen Anderson and Jim Wright, Ken & Tula Roberge, Kurt Eherenman, Larry Kordower, Laurel Seppala-Etra, Laurie Katz, Leslie Ratica, Linda & Jon Scott, Lisa Shafer, Liza Pascal & Ayan Rivera, Lorie McGlashan, Louis Simon, Matthew Cryer, Miles Posen, Rita and J.R., Robin Youngelman & David Spiro, Roy & Kathy Leonard, Russ & Diane Hullet, Sam Richman, Sarah Frisken, Steve & Stacey Hartmann, Sue Post & Jim Levine, Suzanne Soled & Jim Borgman, Terry & Myrna McIntosh, The Bakovich Family, The Davies Family, The Fiori Family, The Livingstone Family, The Randall Family, The Scheuermann Family, The Southern Family, Vickie & Danielle, and Wendy Rochman.